West Ham have shown significant improvements under the guidance of Manuel Pellegrini this season but there is a growing danger that the club could suffer a huge loss during the remaining weeks of the January transfer window. The Hammers have seen star man Marko Arnautovic unsettled by interest from the Far East, with an unnamed Chinese club making a £35m offer for the Austrian international last week, and the 29-year-old is reportedly keen on securing a move. 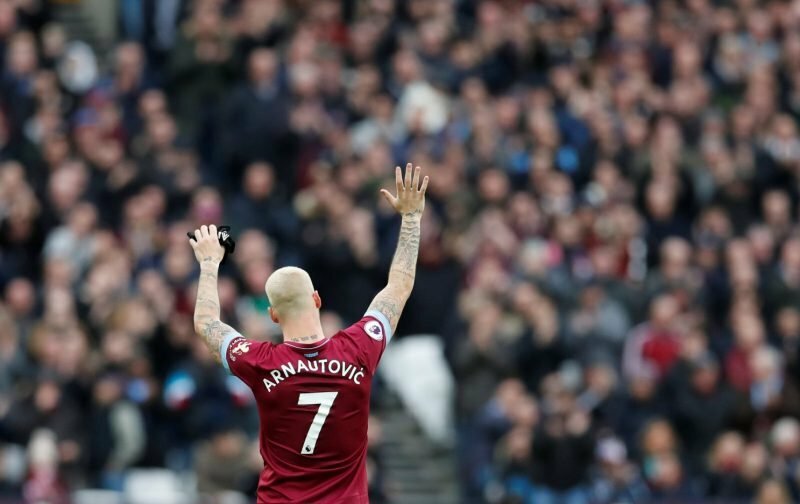 Arnautovic started for the East London side in Saturday’s 1-0 victory over London rivals Arsenal but was substituted in the second period, which led to an interesting moment as it appeared the former Stoke City man waved goodbye to the home fans at the London Stadium. Fans took to social media to react to the events and gave their assessment of the incident, with many praying that it was not what it looked like. We have gathered some of the comments below. As for Arnautovic. Well I think that was a final farewell. The wave showed that. Get 40-50 mil for him and invest in a young quality forward with pace. Don’t want to jump to conclusions but Arnautovic‘ body language just wasn’t right today and if that wave was to say goodbye then so be it. Will be a huge loss but we’ve shown we can play and win without him. Arnautovic leaving is nothing compared to Payet’s departure. Agree but also don’t want us giving him away for nothing. Given the sell on clause to stoke £60m is the least we should demand so that we get close to £50m. What I would of done is agree a few with the Chinese club for him to join in the summer. Then it will be easier for us to replace him then and prices won’t be as high as they are in January. Also the summer transfer period is longer.